If you would like to find more out about neem we have a couple of interesting books available. You can also read 'Neem - a tree for solving global problems' free on line here. The most comprehensive neem book available. 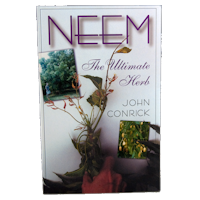 Written by world expert John Conrick, Founder and Director of the Neem Association. 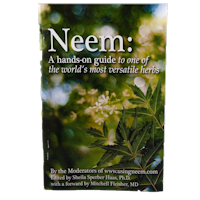 "The most informative book I've ever encountered about neem and its uses." A highly informative and easily readable 40 page booklet on Neem. "This hands on guide should really be read by everyone."